Amber Kelsie is in her second year as a Professor and Coach at Wake Forest University. After working at the University of Texas Workshops for several years, we are happy to have her lead the efforts at Wake Forest. 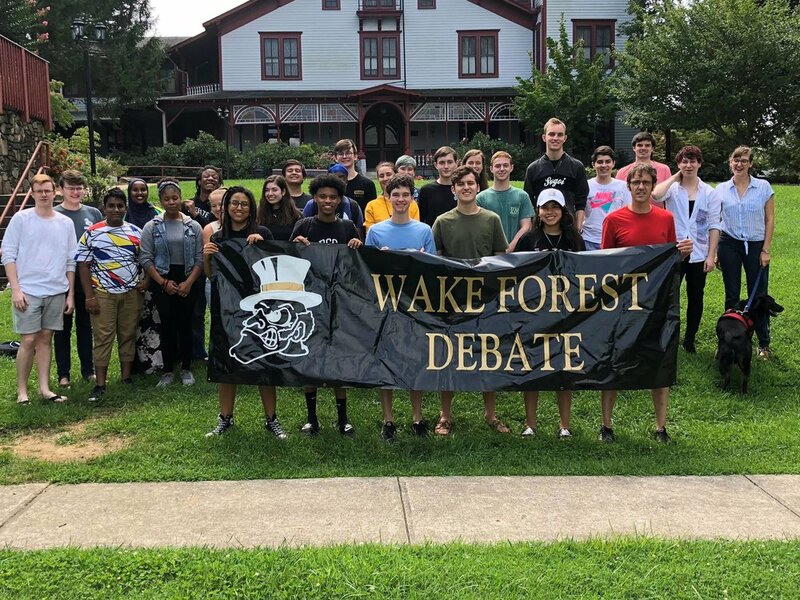 Before coaching at Wake Forest, Amber debated at Dartmouth College, and is the former Director of Debate at the New School and at Towson University. Amber coached two teams, including the first team of black women, to win the CEDA Championship and has coached numerous teams to the late elims of the NDT and other major national tournaments. She also served as the President of CEDA in 2017-18. She has a masters degree from the University of Pittsburgh and is a doctoral candidate in Communication at Pitt. She believes in applying theory to life and thinks the intimate is an essential locus for structural change. Policy debate veteran, mentor, and academic leader are just a few ways we define Daryl Burch. Considered by many to be the godfathers of Critical Race arguments in debate; he read Derrick Bell before Frank Wilderson was in grad school, his teams several years later won top speaker honors while coaching at Louisville. While he has an expertise in a set of literature, Daryl has a passion for making all students better speakers, thinkers, and arguers. Daryl has lead countless teams to success at national tournaments. Previously he coached in college at Michigan state, Emory University, and Towson University camps leading teams to success in the final rounds of a variety of national competitions. Daryl’s impressive educational background and his passion for helping students make him the perfect instructor for debaters of all levels. Currently the Director of Debate at the University of Pittshburgh, Dr. Calum Matheson, has a long history of working with and forming great debaters. He won the Acolyte Award in 2008, attended the NDT 3 times with first-round bids, and reached the semi-finals twice and the quarter-finals once. He's coached NDT top speaker, first round teams, TOC finalist, and Baker Award winner. In 2017, he coached the TOC Champions! He was voted top 10 debater and top 5 judge of the decade. Whether it be a new tricky counterplan, a creative aff idea, or the newest critical literature, Calum not only knows how to inspire students, but also knows how to execute. His most recent published book is on psychoanalysis and the nuclear bomb, but emphasizes that good debaters don’t simply know theory, they know debate. Justin has 26 years involved in competitive debate, two degrees in secondary education, and is now head coach at Wake Forest. He coordinates the scholarships, arrival information, and logistics necessary to run the workshop. Fortunately, he is more than just a logistics person. Whether a team wants to defend hegemony, afro-pessimism, trans rage, or a small arguably topical policy affirmative, Justin has coached them all, successfully. He's a true "flex" coach who dives in the trenches whether it's the final round of the CEDA National Championships, deep elims at the NDT, or a rebuttal redo in Carswell Hall 405. Justin specializes in making debaters better at what they do best; he has coached CEDA National Champions, many NDT First Rounds, and top-5 speakers at National Tournaments. While teaching High school he coached Texas State Champions. While debating he finished 1st and 2nd at the Kentucky Round-Robin was 2nd at NFLs and a Texas State Champion. Justin was selected to judge the final round of the 2004 NDT and 2012 CEDA National Championships. We will be hiring additional staff. We are committed to having NO BYES when we hold a tournament and inter-lab debates. Our staff to student ratio has been 1:4 in previous years. We are in conversation with other individual about the possibility of joining us. As additional staff are added, we will upload bios and announce via Facebook.